Canadian psychologist Jordan Peterson, author of the best-selling 12 Rules for Life, said in a 2012 interview (above) that he takes antidepressants and expects to take them for the rest of his life. I don’t have any current information, but my guess is that this is still true. His daughter Mikhaila, who was 20 back then, also said she takes antidepressants. Peterson believes he is subject to a genetic flaw that his grandfather and father also had. 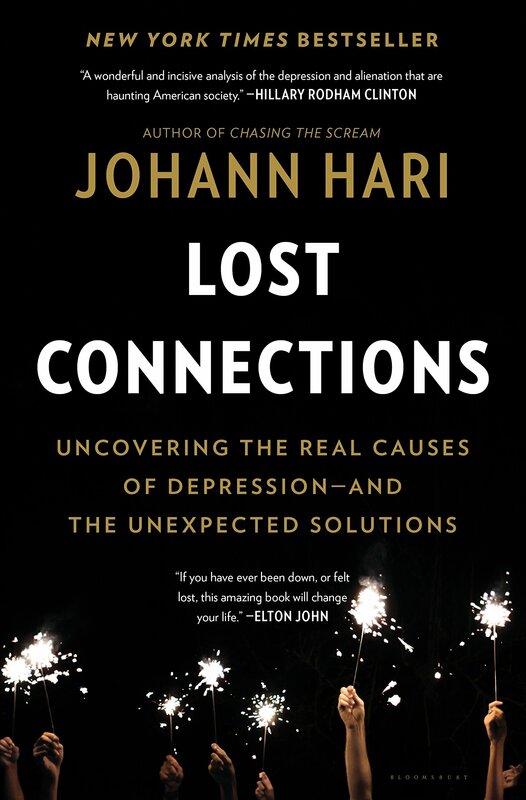 This runs counter to the argument of British journalist Johann Hari, whose new book, Lost Connections, was reviewed by me in my previous post. Hari said people are depressed not because things are wrong in their brains, but because things are wrong in their lives, which is often due to things that are wrong with society in general. All three generations of Peterson appeared to have everything that makes life living—meaningful work, friends, loving marriages, children and the respect of their communities. Yet Jordan Peterson’s grandfather and father went to pieces in middle age, and Peterson himself thinks that he might have suffered the same fate if antidepressants hadn’t been available. Mikhaila, the daughter, did go through a lot of suffering. She suffered from rheumatoid arthritis from a young age and had to have hip and ankle replacements. But she didn’t suffer alone. She had the support of parents and friends. So none of the Petersons fit the profile of typical depressed people as reported in Lost Connections. Hari reported on clinical studies comparing patients who’ve been given antidepressants with patients who’ve been given placebos and patients who’ve been given nothing. They indicate that 50 percent of the apparent benefit of antidepressants comes from the placebo effect and 25 percent from people simply getting better on their own. That, of course, leaves a remaining 25 percent who actually were helped. Hari said nobody understands how this works, because the effects of the various antidepressants are widely different. Some increase serotonin, some decrease it, some increase or decrease dopamine and other biochemicals. Also, many of them have bad side effects. Peterson said that antidepressants work best for people who outwardly have great lives and are depressed for no apparent reason. If you are depressed because you are unemployed, divorced or lonely, antidepressants won’t fix you, he said; you need to look for a job, a new mate and new friends.